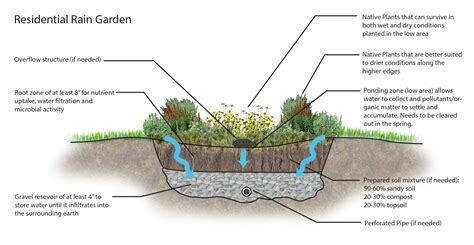 Ok, so this is a example of a small rain garden for a house in the city or town.. Mine is a massive rain or storm garden to be.. It will collect the water off my roof, as well as collect the overflow from the one side of the driveway to the other side. This system is created to catch storm waters and recharge your ground water. Given our big hard storms, in the past few years we seem to have a pattern of no rain.. HARD large volume’s of rain. Collecting that rain for storage is important but so it creating a system that helps keep that water on the property so that it can recharge our shallow house well. 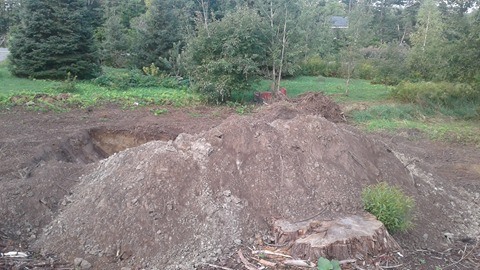 We will continue to clean our barn and use the fall prep to have the barn ready for winter use into this project, mixing the compost and the native soil till we get the level we want.. then we will have the gravel hauled in and hire the same person to come back and move the rest of the soil in at levels and to build the permaculture berms around the rain garden itself.. I also have a area that we need to have him pull another large amount of roots up.. he can do it in a hour that would take us much longer. Then it comes back to us and we will need to start planting it.. Its a longer term project and of course we have to create the dry creak bed that will lead the water to the rain garden itself from the house. Do you know what you plan to grow there? Anything special or are you simply diverting rain water and taking advantage of that? I’m always trying to come up with different ideas that might work better than the raised beds I have. I love my raised beds – but they’re not practical for some things. Hi ValB So I am making a version of rain garden/storm garden. So there is level one, two, three and berms. Level one is plants that can stand having their feet in water for up X amount of time or days and at the same time can handle dry/drought.. They have a list of plants.. I am personally going with a mix of bee plants and elderberry, level two is higher, I am going with plants that can handly less water on roots but still some.. That one I will be putting into rose bushes that like being by water, post coming on those, the seed was collected in Nova Scotia. The third level is the highest and its going to be a native bee flowering swamp edge plant as I need to keep it smaller so that I can access the roses for hip harvest.. then the berms are going into permaculture style.. the bushes will be high bush cranberry as the biggest, the next are going to be blueberry bushes, then the next layer will have a few rhubarbs and then the rest will be annuals that switch up. 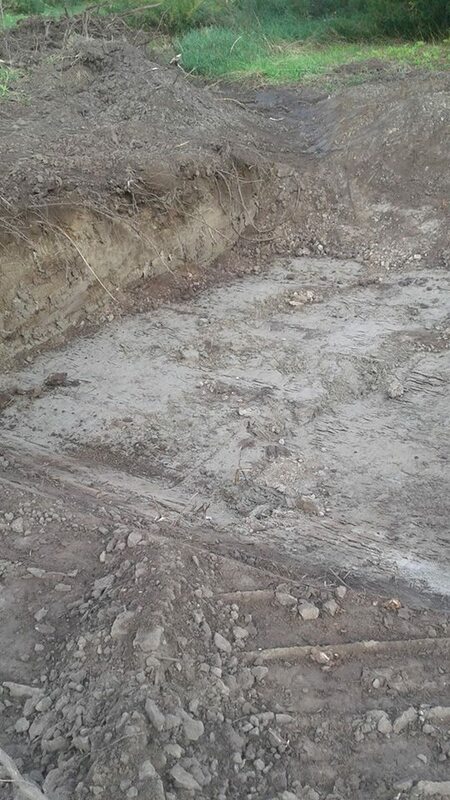 It’s easy to see where your topsoil ends, but is that a clay layer on the bottom here, Val?